This is you in the backseat. Slouched. Eyes closed and everything feels perfect. Summer. It is early morning yet you feel fully awake. Exciting things are in place for the weekend ahead. Your parents drive to the rental cabin and you, plugged in to your Walkman, notice that they seem different. Perhaps it is the sun glinting off their eyes as they drive the family to the lake. Maybe it is their smiles. Either way, you like it. No, you love it. It feels good. It feels natural. Summers on the lake and everyone seems happier. You lay your head against the car window as the hills pass by and you smile. Maybe Jenny will be there, too. Last July was… something else. Her lips have yet to leave your memory. And that bonfire on the beach. Wow. …and they do thanks to the release of Everending Summer. 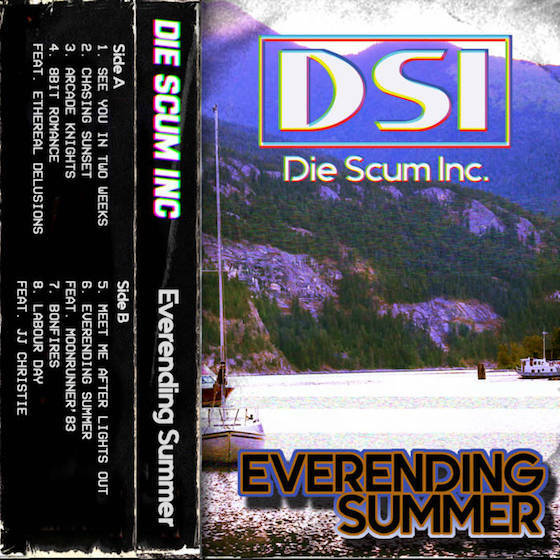 Die Scum Inc. return with the strongly nostalgic bliss of Everending Summer and the results, complete with sincere tones and striking melodies, feel all sorts of FUN in the SUN. I don’t know how this producing team have done it, with this their third album, but they have expertly created yet another “notion picture soundtrack” that, this time, points us inward. This soundtrack is all about you and me. And that’s pretty damn magical. This collection of 8 songs brings together a summer of experience that we ALL can relate to. You will feel connected, Stereo MC’s; the writing is indeed on the wall. And, yeah, you will want to do it again. "a creative release so in tune with its audience that it will leave you believing that girls really do just want to have fun." 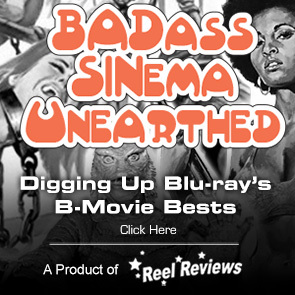 This release – eight tracks of wild and wet nostalgia for those lazy summer days and hot nights – is a stunning accomplishment that your ears and your mind will certainly dive into. 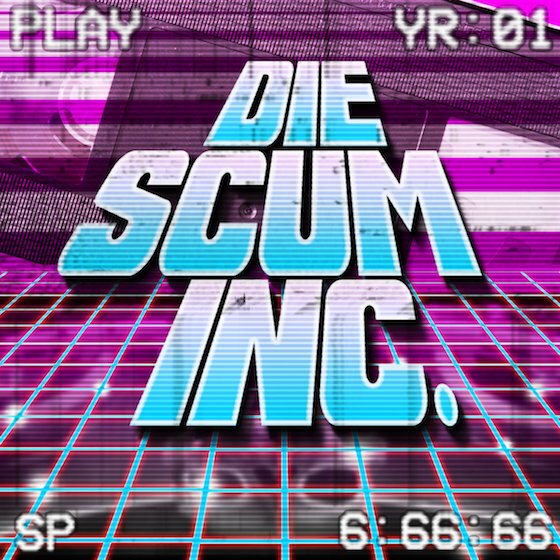 Starting with the essential fade-in of “See You in Two Weeks”, Die Scum Inc. dig in to fresh sounds, abandoning their horror and action elements with this release, to create something that feels like it is already a familiar part of you. This is so strong of an introduction that you will begin to question your own sanity. How did they perfectly recreate the summer of your youth? Because it is all here. Every minute. And it feels very real. This song, complete with video game bleeps and bloops, is followed by the crescending drumrolls of “Chasing Sunset” and, if you are at all like me, you will be immediately hit with an “oh yeah, I remember that” feeling when the song strikes the two-minute mark. This one-two punch of electric nostalgia is warm ingenuity at its finest. Yet, there is change in beats just up ahead and, thanks to a dramatic electronic opening, another memory is about to be accessed: “Arcade Knights” is opening its doors. One song to rule them all. Truly, what happens here in “Arcade Knights” is nothing short of an electronic miracle of synths and drum fills. If you aren’t transported back to the classic arcade thrills and kills of your youth with this song, then I don’t know what planet you hail from. This song is a core centerpiece of the release and it works on many levels, providing a point of entry into the past but allowing for the neon of the arcade to shine into the future. And, as far as Everending Summer is concerned, that immediate future is the charmingly engaged sounds of “8bit Romance”, which features the talents of Ethereal Delusions. This song, complete with pulses and 8bit effects for its fills, fires on all cylinders. It is Master Blaster fantabulous and succeeds in creating an immersive environment where days at the lake end with nights at the local arcade and, sigh, everything feels complete. We go cosmic with the synths of “Meet Me After Lights Out”, a song that manages to kiss our bliss with elements that remind me of some of the best of Cyndi Lauper’s offerings. Goonies never say die, you know. We even get well-chosen instrumentation to create a retrograde classic of tones and chords. With breaks that build and a melody that absolutely shimmers across the night sky, this song is an immediate favorite. MoonRunner 83 lends a helping hand with the epic title song, “Everending Summer”. 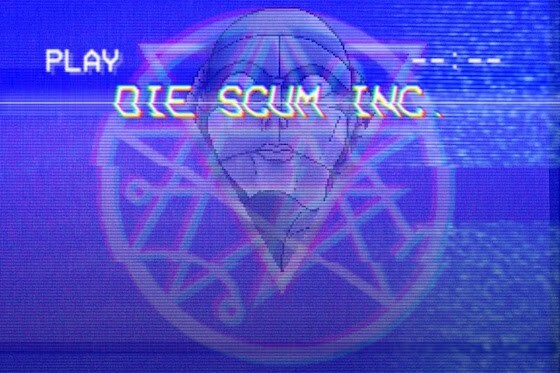 With sparkling synths and solid build-ups to big, big breaks, this song – another classic from this producing team – perfectly illustrates what Die Scum Inc. are so good at doing: turning memories into music. This song is so beautifully layered that it creates, thanks to a little help from the follow-up song “Bonfires”, an approach to a memorable summer of the bygone era by flexing sonic muscles dare attempt for fear of failure. These guys do not fail. And because all things must end, the final song in this release performs double duty. It is a closing chapter, sure, but “Labour Day” feels so damn smooth and charming that it feels like a new beginning for the team. It is as if dawn itself has broken free and, thanks to the skill of JJ Christie, those build-ups score some fun releases throughout its glossy 4-minutes of FUN(k). This song, at least to me, feels like it is describing the place where Terry Lewis and Peter Cetera meet; an electronic crossroad of melody and funk. It is a perfect place to end and begin again. Everending Summer is a creative release so in tune with its audience that it will leave you believing that girls really do just want to have fun.